Bobby and Jamie are getting married, but Bobby's niece Chloe is worried that she won't be his favorite person anymore. Will Uncle Bobby still think she is special? 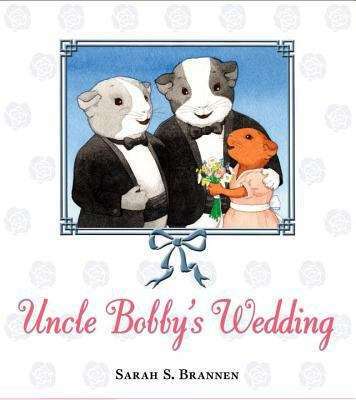 Sarah Brannen's warm story is set in an alternative family as Uncle Bobby marries his boyfriend. Uncle Bobby's Wedding embraces Bobby's relationship with Jamie, but keeps its focus where it truly belongs: on an uncle and niece's love for each other. Beautifully told and charmingly illustrated, this simple yet moving story begs to be read time and again.